Happy late spring all! 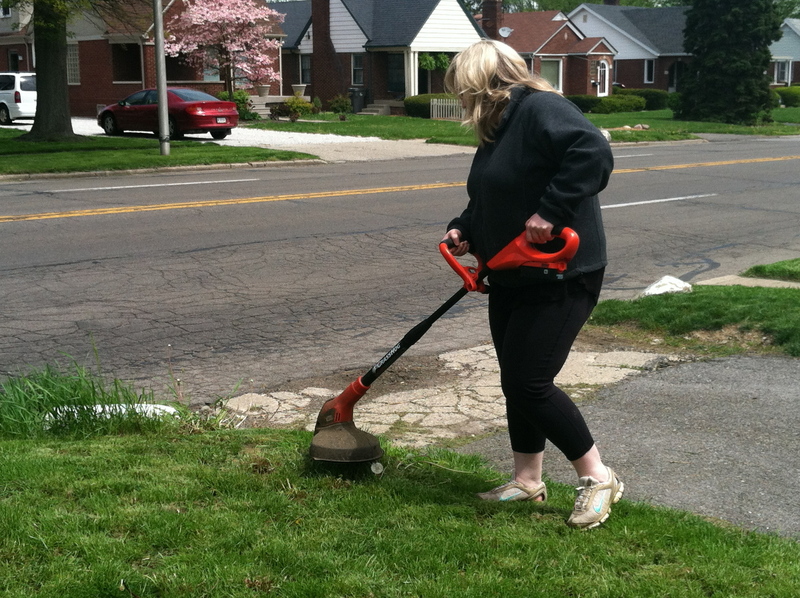 I don’t know if it’s the weather, my age, the husband’s infectious outdoor nature or what, but I’ve found myself actually helping out with yard-tending duties. 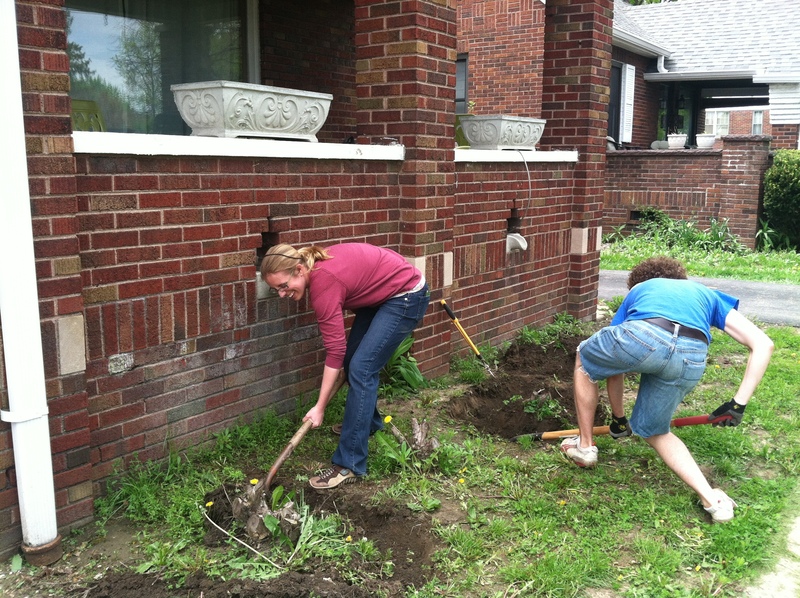 I suppose I should preface that with the fact that prior to this point in my life I would have rather scrubbed floors and toilets before utilizing a shovel or spade outdoors. . .and I did. But now! 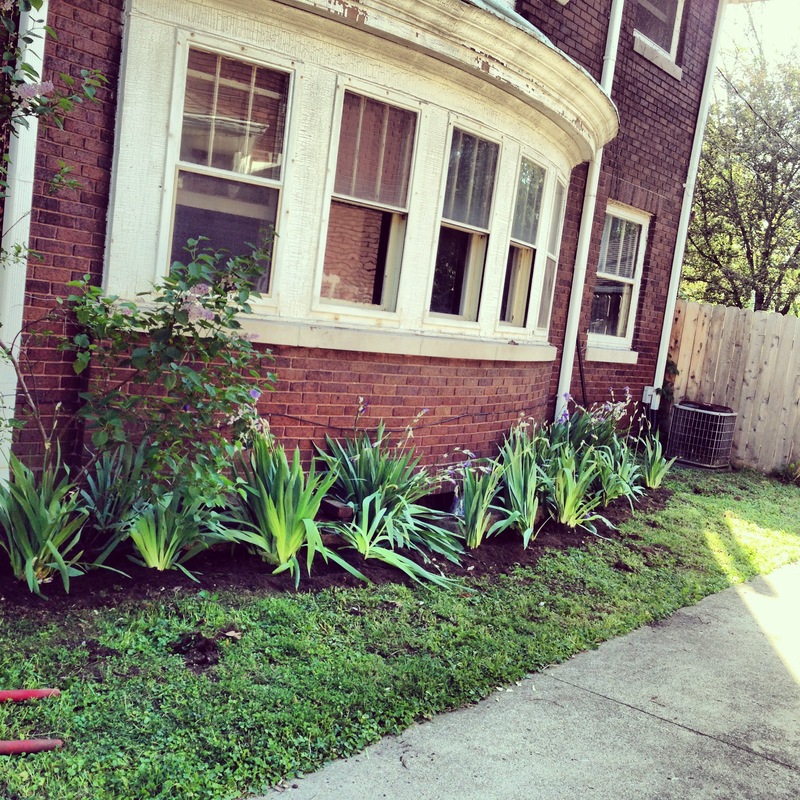 Now I’m beginning to embrace the outdoor work! 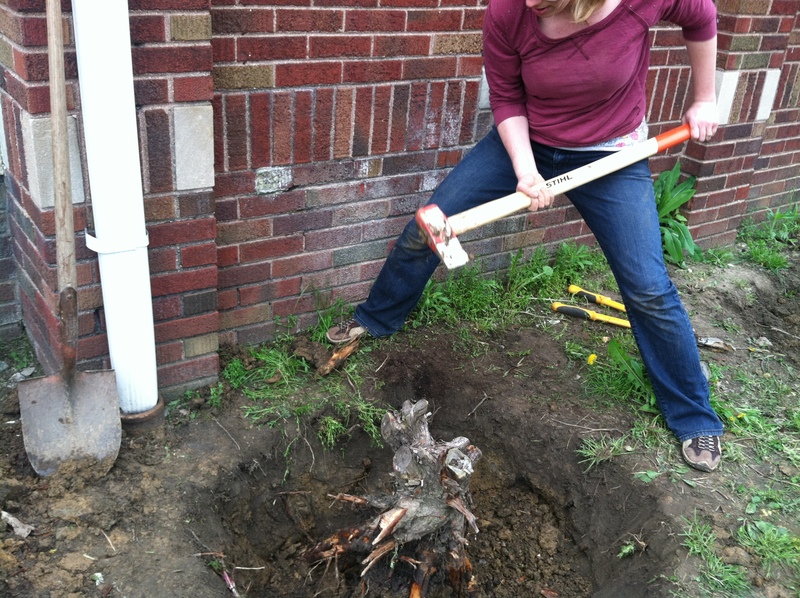 No, no, not mowing or such things like that… but assisting in other things, like mauling out a stump or two (with the help of my oddly-good-stump-remover brother). Picking out plants for our beautiful garden. . . 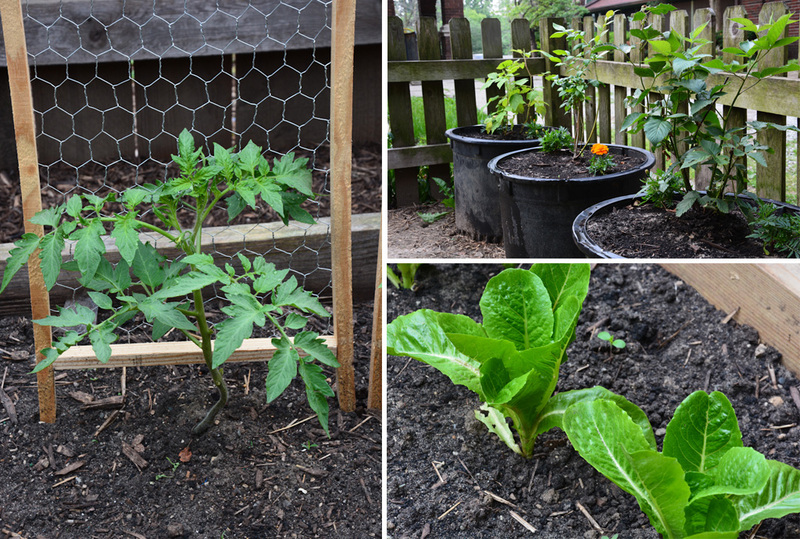 Speaking of garden, the husband really stepped it up with the urban garden this year. 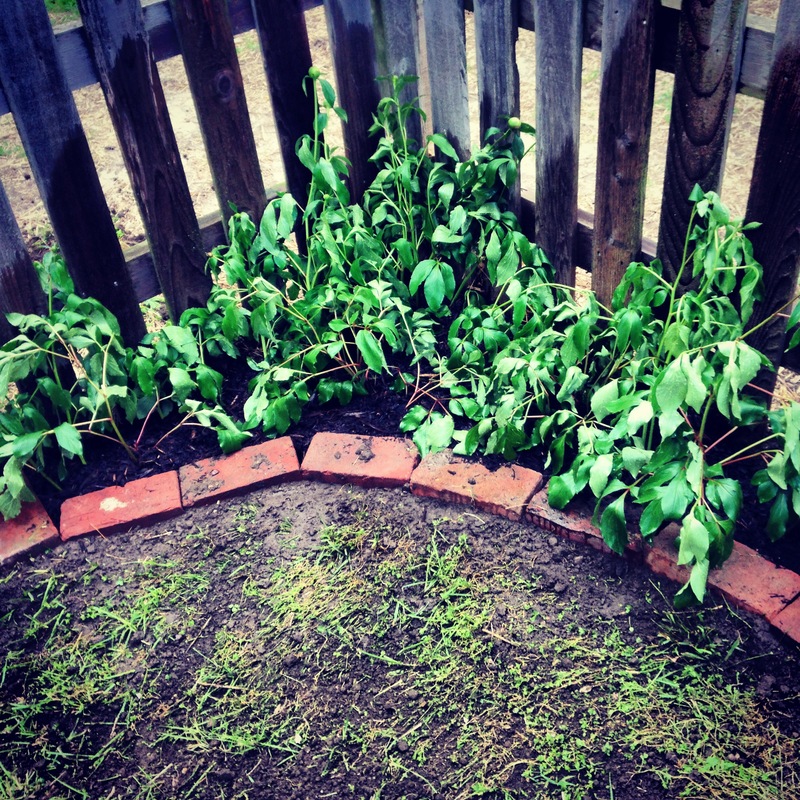 You may recall in 2011 in the urban garden vs husband, urban garden won, hands down, and last year the sun and drought won. This year, this year he’s motivated. 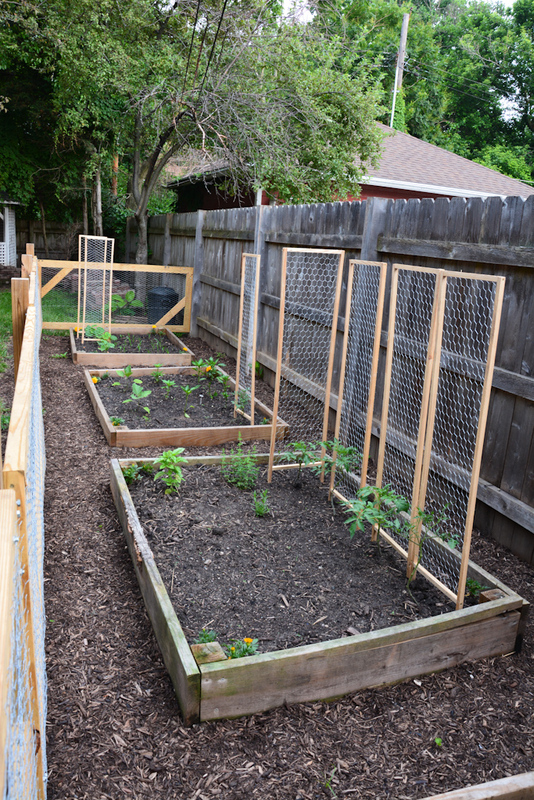 He’s learned how to wrangle saws, drills and the like and has crafted a solid fence to keep the dogs out, proper spacing for each plant to have it’s own area and trellises for the tomatoes and squash. I mean seriously, would you just look at that fence! The husband did a phenomenal job. In his words, we’re going to “own this” yard this year. 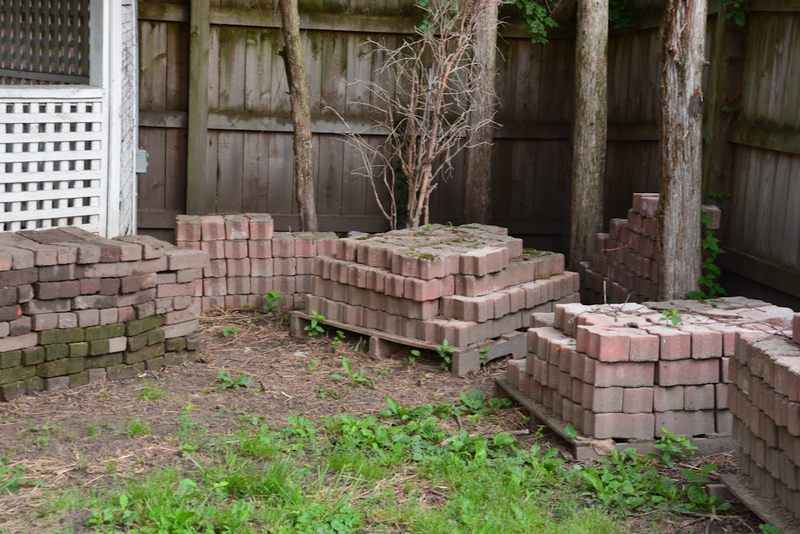 We’ve got bricks for a patio. . .lots of bricks. . . 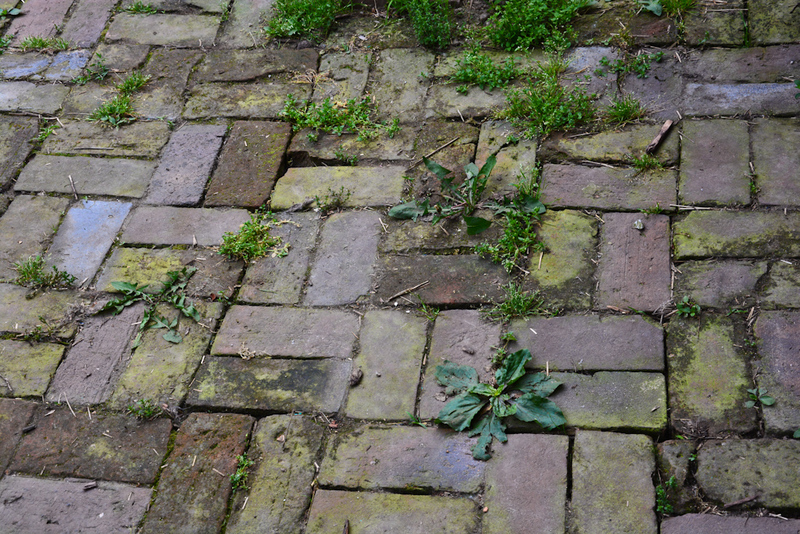 The way in which we actually transported these “free” babies is a story in and of itself, we’ll get there… They will be replacing the current slap-dash brick patio we’ve got. 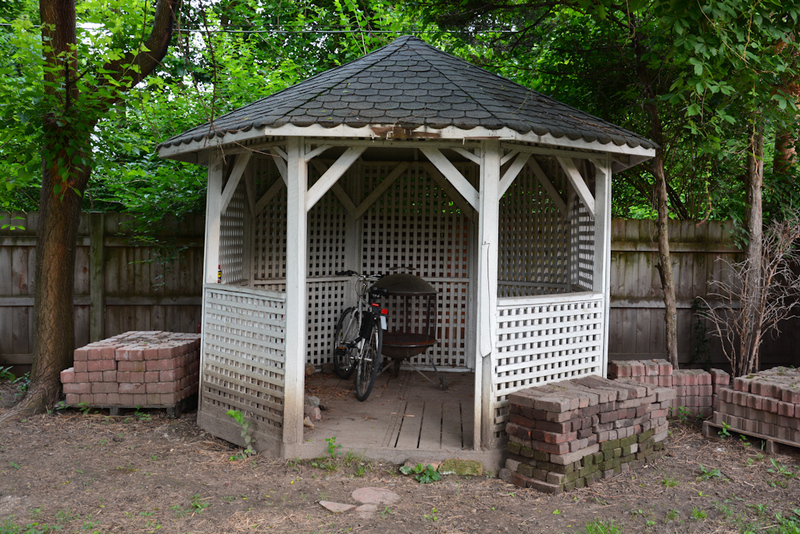 The Gazebo is due for an upgrade. We’re not sure exactly what kind of upgrade, other than the lattice being removed. For some reason, I’ve always hated lattice. No idea why. (Sorry to all the lattice lovers out there). 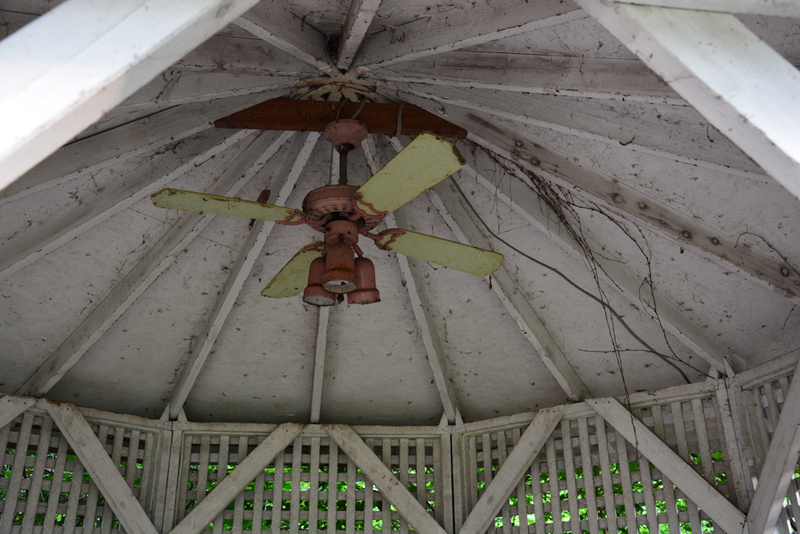 Other than removing hornets’ nest out of the gazebo, we’ve pretty much ignored it, as is apparent by the state of the fan in there. 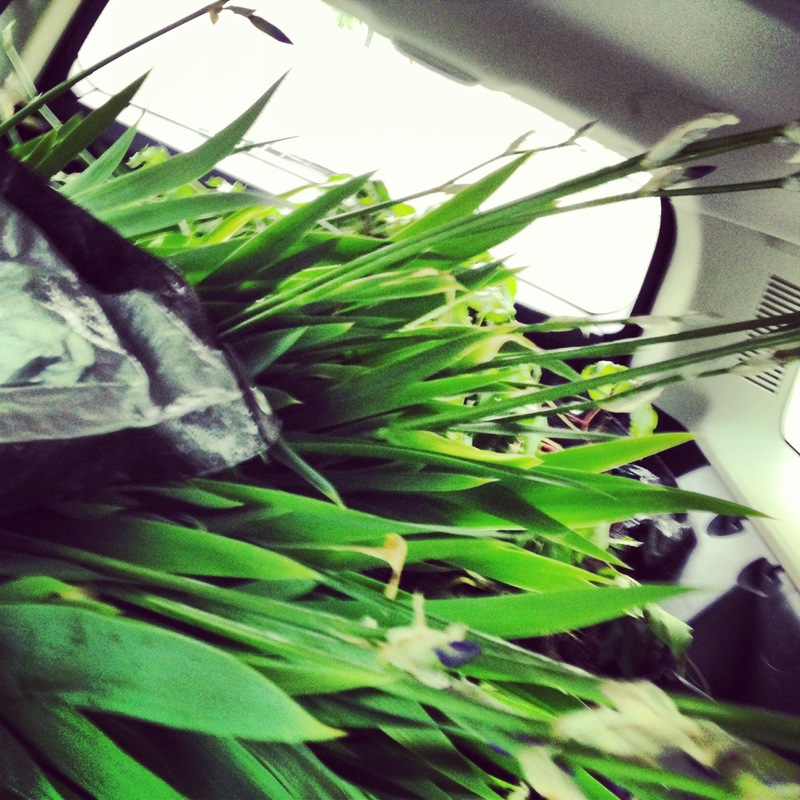 We, or I should say the husband, rescued a load of Iris’ and Peonies from some friends in the Herron Morton neighborhood. So yeah, look out yard. You’ve been warned. Looking good and welcome to the world of dirt therapy! 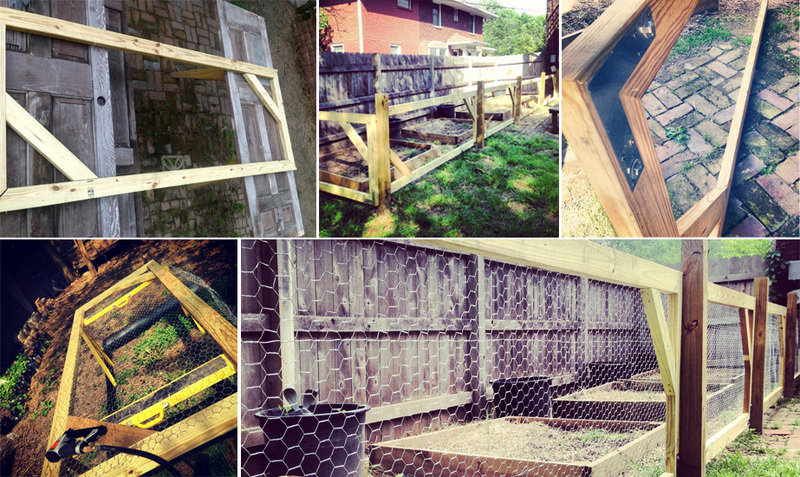 Looking good, but I don’t see any chicken in that urban farm yet. In due time, in due time. . .